Quality Assurance (QA) - A system of recording and evaluating past history, sources and quality of all laboratory services, calibration and performance of equipment used, to ensure a consistently high quality of analytical results. Quality Control (QC) - A comprehensive set of procedures established in order to control the constant quality of analytical results, by continuous daily analysis of check control samples of known composition, and daily calibration of all apparatus used in analysis. Trace Elements is very committed to the profession, to our clients and to our employees as witnessed by our increasing investment in highly trained personnel, on-going operations and in some of the finest modern technology available in the world. TEI is a licensed and certified clinical laboratory that undergoes regular inspections with the Clinical Laboratory Division of the Department of Health and Human Services, HCFA. TEI uses ICP-Mass Spectrometry, the most modern and expensive analytical technique to be applied to routine elemental analysis. TEI performs all testing in a trace element laboratory clean room environment, utilizes the latest microwave temperature-controlled digestion technique and has a highly skilled and professional analytical/support staff. Further, each patient result from TEI is based upon an hourly National Institute of Standards and Technology (NIST) traceable standard curve, a rigorous quality control validation for every 24 specimens and is compared to a representative reference range derived from the like analysis of an international collection of normal and "healthy" subjects. TEI also performs routine spiked sample recoveries, daily split specimen analysis and voluntarily participates in various interlaboratory test comparison (TC) surveys. Additionally, TEI like many laboratories, participates in an on-going Quality Assurance/Quality Control program and adheres to CLIA guidelines for precision, reliability and overall good laboratory practices. Needless to say, you can be assured that we stand behind our analytical data. Trace Elements utilizes state-of-the-art ICP-Mass Spectrometry (NexION® models) for all trace element determinations. These multiple systems are capable of easily handling a high volume of specimens in applications such as HTMA where limits of detection requirements are in the part-per-million (ppm) and low part-per-billion (ppb) range. TEI uses the most advanced high-volume and uniform temperature-controlled microwave digestion (CEM Mars 5 Plus) technique. Microwave digestion is the method of choice for speed, reduced contamination, complete digestions, and retention of analytes to insure precise results. 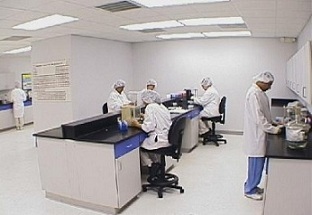 Trace Elements laboratory is equipped with a trace element class clean room utilizing HEPA filtration systems. The clean room ensures that air quality and temperatures are isolated in order to protect equipment and processed specimens from potential contamination. High sensitivity balances used by the laboratory for calibration/QC check standards and specimen weighing are calibrated with weight sets traceable to NIST. All stock standards used for daily calibration and Quality Control are prepared by a leading ISO 9001 certified laboratory. In addition, all standard material is sourced from NIST standard reference material. Further, the laboratory uses 18 megohm double-deionized water, sterile polypropylene wet-digestion and sampling test tubes, acid-leached, triple-rinsed miscellaneous glassware and plasticware. All glassware when used is Class A. 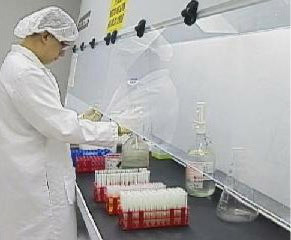 Laboratory management also utilizes a comprehensive state-of-the art proprietary data management program that features automated quality control (AQC) software to assist the chief technologist and laboratory director in validating all QC test results and individual specimen test results prior to release for eventual report processing. Trace Elements successfully participates in an on-going proficiency testing program with Le Centre de Toxicologie du Quebec, which offers urine, blood and hair tissue elemental testing involving clinical laboratories that utilize high resolution instrumentation in North America and Europe. Also participating in various other interlaboratory test comparison studies, Trace Elements is committed to providing the clinician with timely, precise and reliable test data. Following is a brief description of the quality control materials and solutions that Trace Elements utilizes in each daily analytical run. This sequential format does not represent other daily and routine QC procedures that are performed by technologists in the laboratory prior to each analysis. Solutions (two levels) prepared in the same manner as the calibration standards and used to verify the calibration curve before analysis of patient specimens and QC samples begin. Used to evaluate all potential contaminants/interferences in the reagents, laboratory environment and apparatus within the test method. Homogenous solution of pooled hair that has been pre-digested using standard method digestion. Used to indicate day-to-day and within-run precision associated with instrument calibration. Second analysis of a random patient specimen taken from the previous day's run. Using a submitted patient sample to indicate day-to-day laboratory precision associated with the entire test method; sample preparation, digestion and instrument analysis. Homogenous pooled hair that is exposed to the same laboratory environment, reagents and apparatus as the patient specimens throughout the entire test method. Used to indicate day-to-day laboratory precision associated with sample preparation, digestion and calibration. Certified Hair Reference Material, obtained from National Institute for Environmental Studies, Japan. Used to indicate day-to-day accuracy and precision of the test method; including reagents, sample prep, digestion and analysis. Solution prepared in the same manner as the calibration standards and analyzed in the middle of each subset of patient specimens. Used to verify the previously established calibration curve and confirms the accurate analyte quantitation for all patient specimens occurring after the initial calibration check standards. A solution prepared in the same manner as the calibration blank then analyzed after the CCCS to show any contamination or carryover. Solutions (two levels) prepared in the same manner as the calibration standards and analyzed at the end of each subset of patient specimens. Used to verify the previously established calibration curve and confirms the accurate analyte quantitation for all patient specimens occurring after the continuing calibration check standards (CCCS). Test results for all of the above Quality Control materials/solutions and patient specimens are analyzed in detail by the AQC lab software and then reviewed by the Chief Chemist and Laboratory Director for compliance to strict quality control limits. Failure to meet the QC criteria requires that the complete analytical process is repeated until all QC data is within acceptable limits. No data is released from the laboratory until such time. Copyright 2004 - 2018 | Trace Elements, Inc. | All rights reserved.